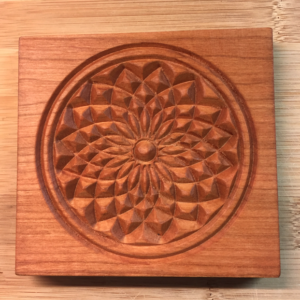 This Springerle Cookie Mold is in stock. Email your order request to srwhitecarving@verizon.net or call us at 717-242-1752. We will accept payment information and ship your order. 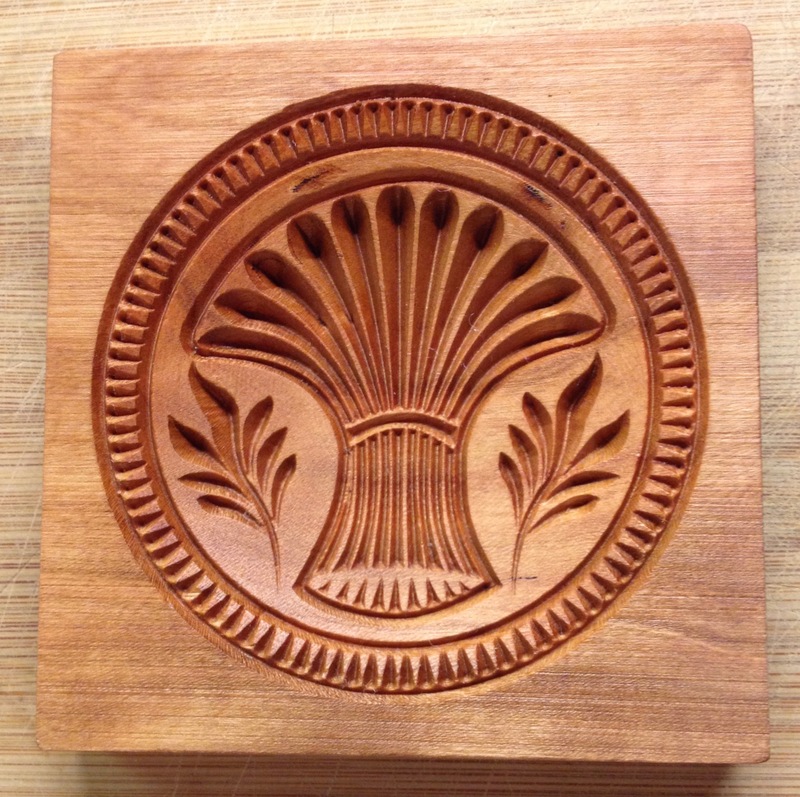 Sheaf of Wheat Springerle Cookie Mold. 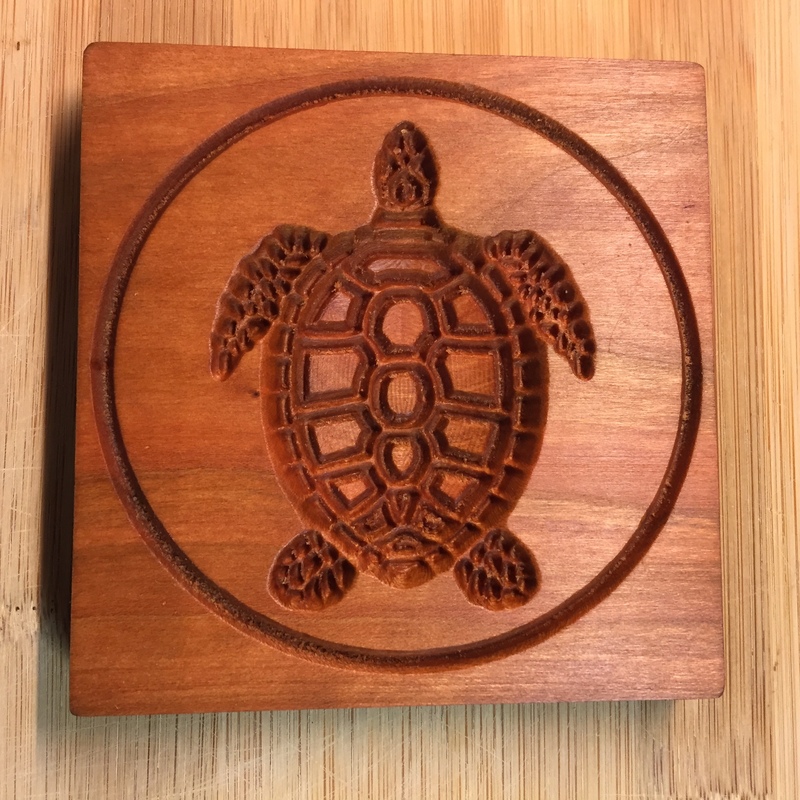 Each cookie mold is individually carved from kiln dried American Cherry in our Pennsylvania workshop. They are intricately carved in reverse to create a positive image. They will make beautiful decorative cookies that you can use to adorn your Holiday table or they can also be used by crafters to make festive decorations because of their artistic motif. Each piece has a food safe finish that can be gently washed in soap and water. When dry, simply apply a light coat of cooking oil, wiping off all the excess oil. Let dry completely before using again. DO NOT soak the wooden mold in water. 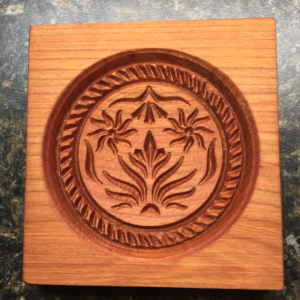 Each mold measures approximately 4″ high x 4” wide x 5/8” thick; sizes will vary slightly. Also included with each mold is copy of a Springerle cookie recipe. 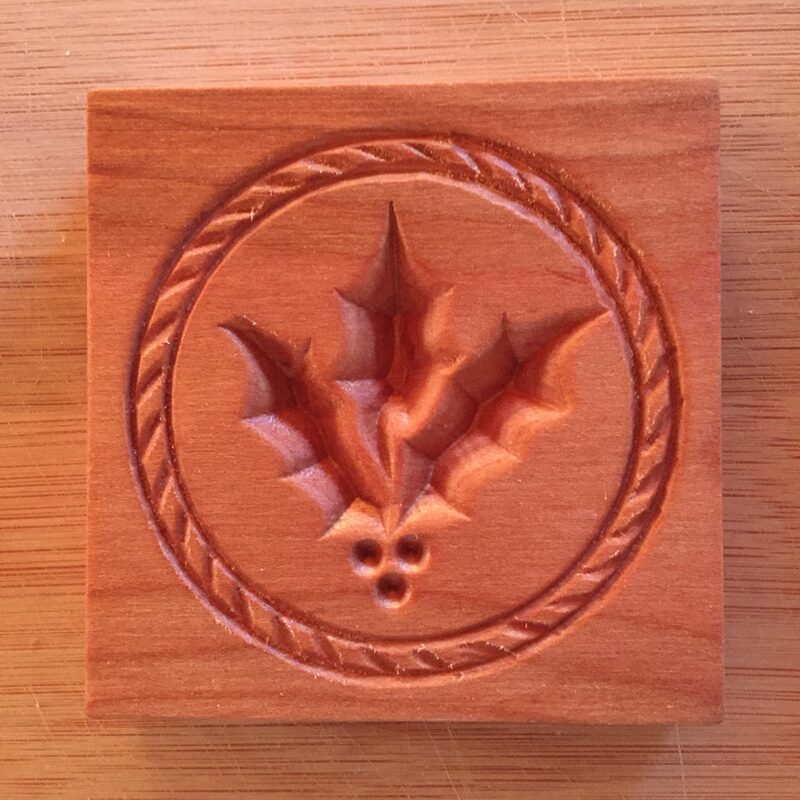 Collect all our Springerle molds for baking or Holiday decorating.